Amy is hired by companies like Southwest Airlines, International Paper, Pfizer, and non-profits like the American Heart Association and the U.S. Green Building Council to teach their best stakeholders how to get powerful people on their side. 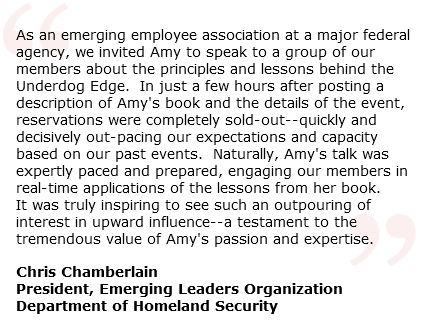 Amy is available to speak to your organization about the power of the Underdog Edge, and how to engage the edge to position your organization and your stakeholders for influence success. 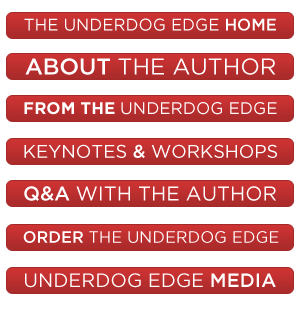 Because there are so many (over 20) underdog edge key behaviors, and over 30 tips on how to develop those behaviors, Amy will work with you to reverse-engineer the keynote or workshop and craft a talk that focuses on the high priority outcomes for your group. Keynote and workshop options are available. 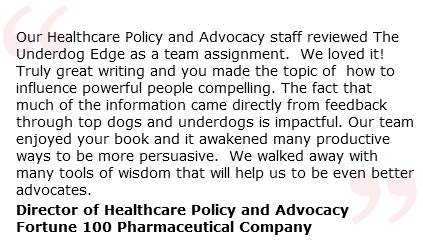 Whether you are an individual trying to influence up, or an organization who suffers from the “Goliath curse,” in The Underdog Edge, you’ll learn why being the underdog is an advantage when influencing up, and how to engage the edge for influence success. The typical influence tactics for general influence situations don’t often work with powerful people. These situations call for extreme influence tactics. 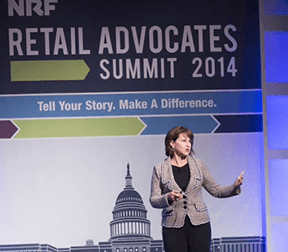 Amy Showalter is a grassroots persuasion pioneer. She has drawn on over twenty years of experience teaching organizations how to get powerful people on their side, as well as over 10 national research projects with thousands of underdog influencers. Not content with only one side of the story, she also has interviewed the high-powered people whose minds were changed by an “ordinary” person. You’ll learn of over 30 upward influence behaviors deployed by successful underdog persuaders and how you can foster those behaviors in yourself, your stakeholders, and your organization’s culture.